The Huskies are back again. 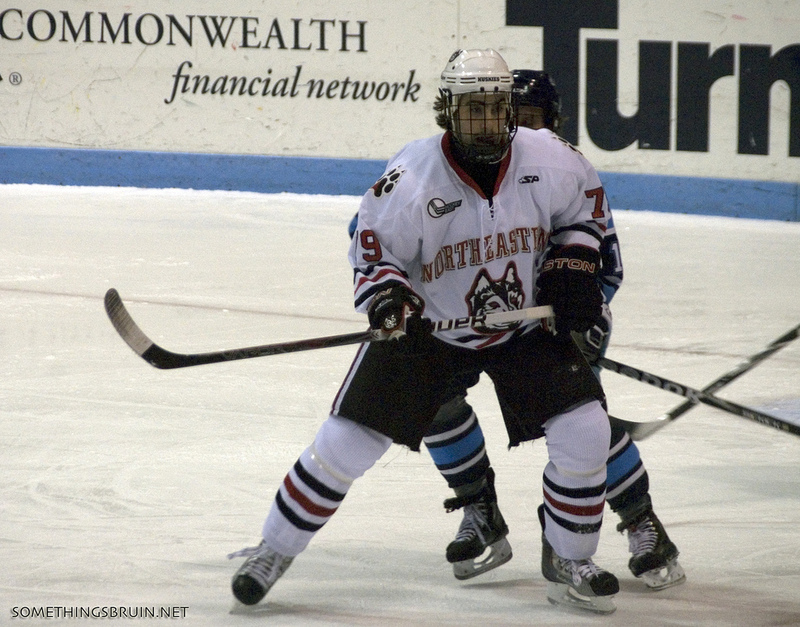 Northeastern advanced to its second straight Beanpot Tournament championship game. The Huskies beat the Boston University Terriers in overtime, 2-1. The victory came at TD Garden on Monday night. Freshman forward Tyler Madden tallied the game-winner just 51 seconds in to the extra frame. Huskies senior winger Patrick Schule found the back of the net three minutes into the game after his hard forecheck forced Terrier defenseman Cam Crotty to cough up the puck. Crotty would redeem himself with 21 seconds left in the first period as he picked up an assist on Joel Farabee’s game-tying goal for the Terriers. The score remained 1-1 throughout regulation thanks to stellar performances by both goaltenders. Boston University’s Jake Oettinger kept the Terriers in the game, stopping multiple Northeastern breakaways and saving 47 shots throughout the evening. Hobey Baker award nominee Cayden Primeau faced almost half as many shots as Oettinger, stopping 26 shots in net for Northeastern. Neither team was able to convert on the power play. This win sends the Huskies to a matchup against the Boston College Eagles in the 67th Beanpot Tournament championship game. Northeastern will be looking to retain its championship title. The Huskies defeated the Terriers in last year’s championship by a score of 5-2. As for the Terriers, they will face the Harvard Crimson in the consolation game on Monday.